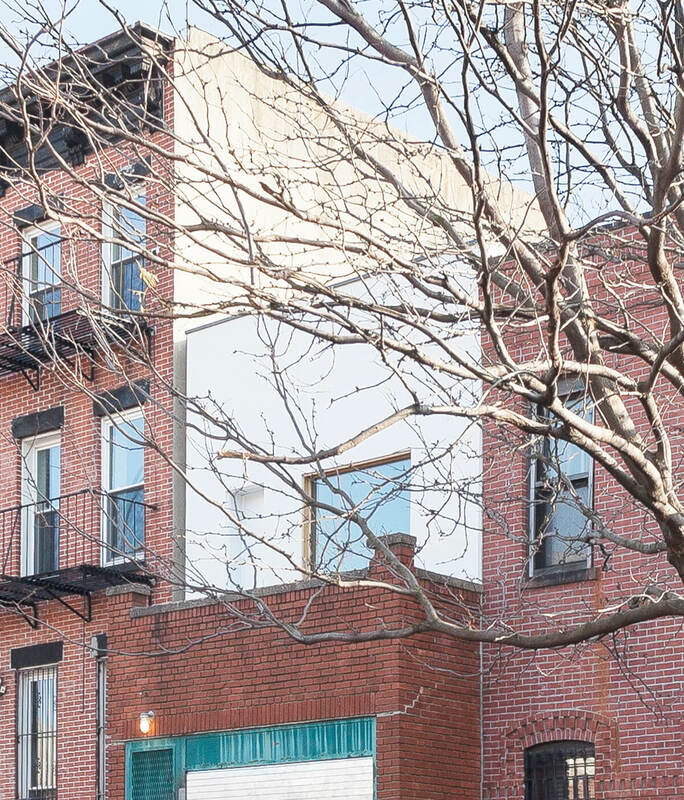 An existing 15’ wide by 100’ long single-story brick building – a former commercial garage space within a residential zone – was purchased to be developed into a single-family residence. 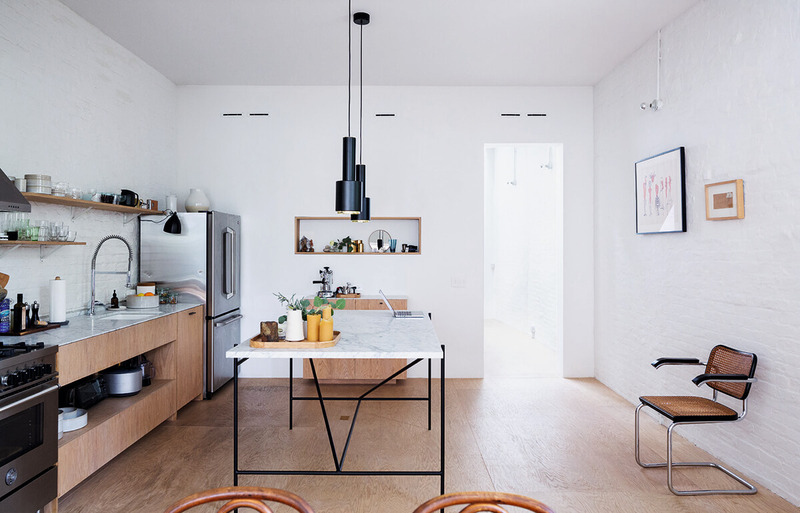 The property, located in the Clinton Hill neighborhood of Brooklyn, became a study of typology, volume, program and light focusing on deletions and insertions of volumes. 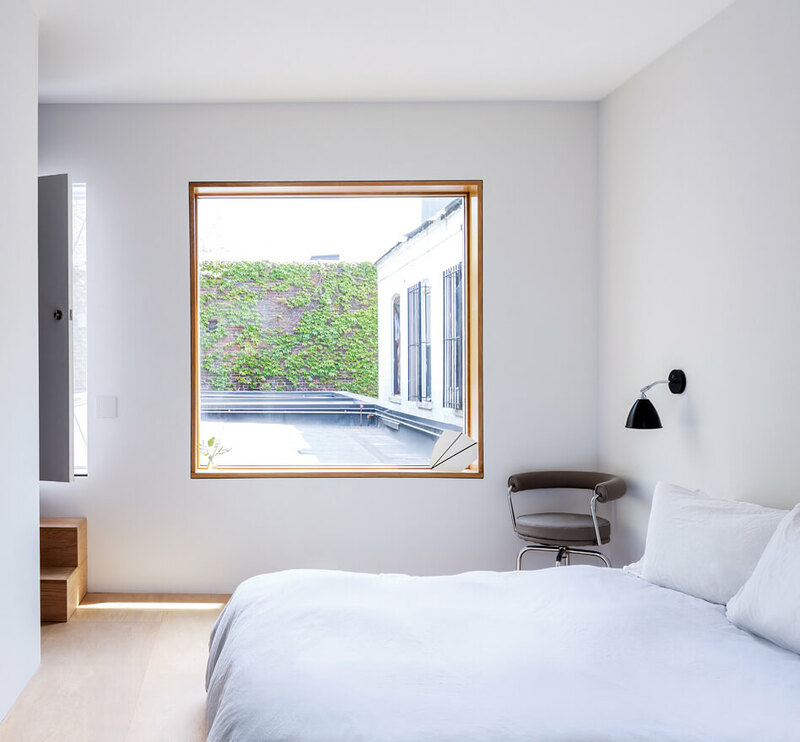 The first deletion, a compact 10’ by 12’ volume towards the rear, creates an interior courtyard for light and air and offers clear separation between the living space and a guest room / study. 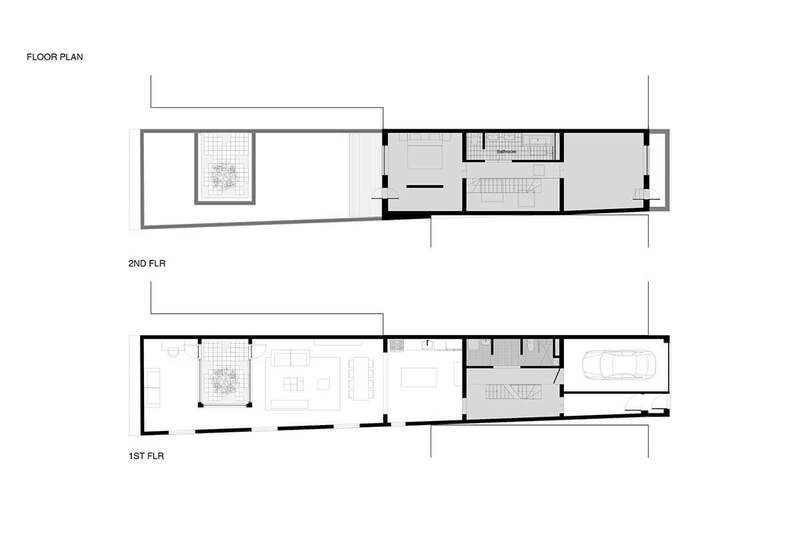 Spatial programming on the existing first level is fairly open and sequential – from entry to kitchen to living. 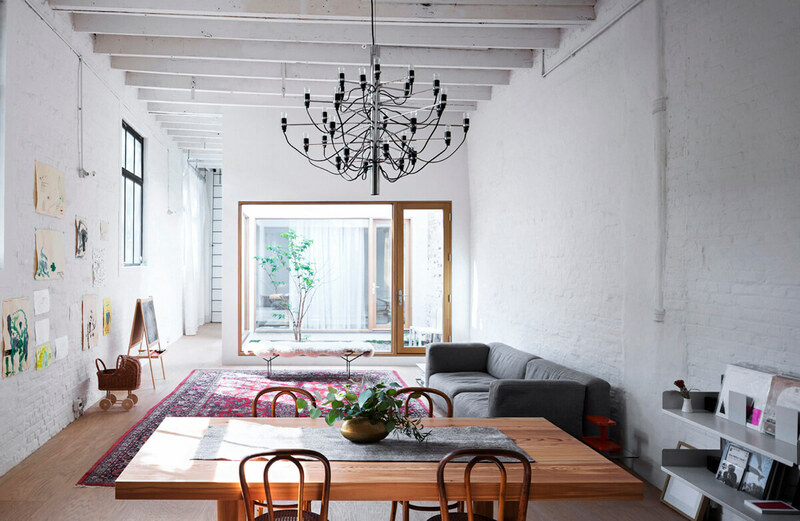 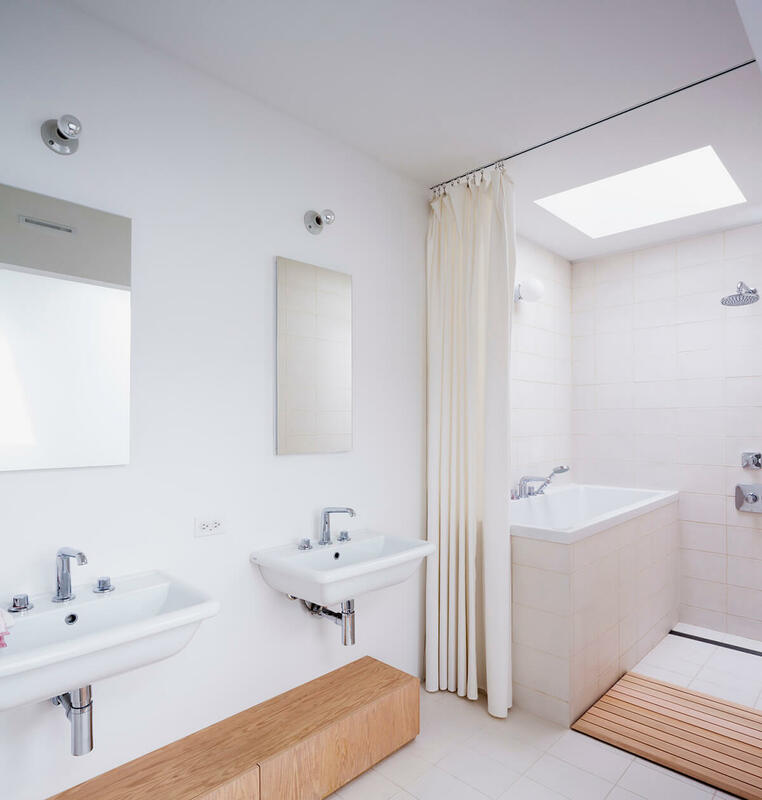 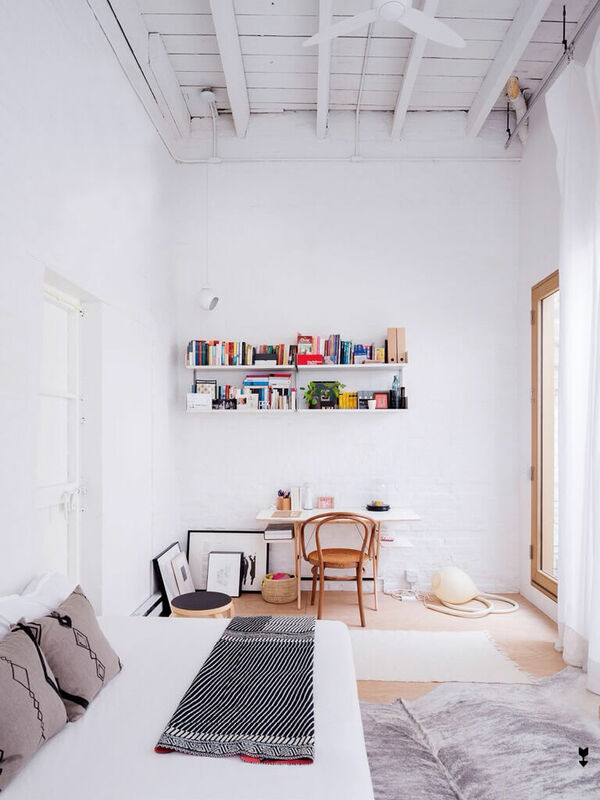 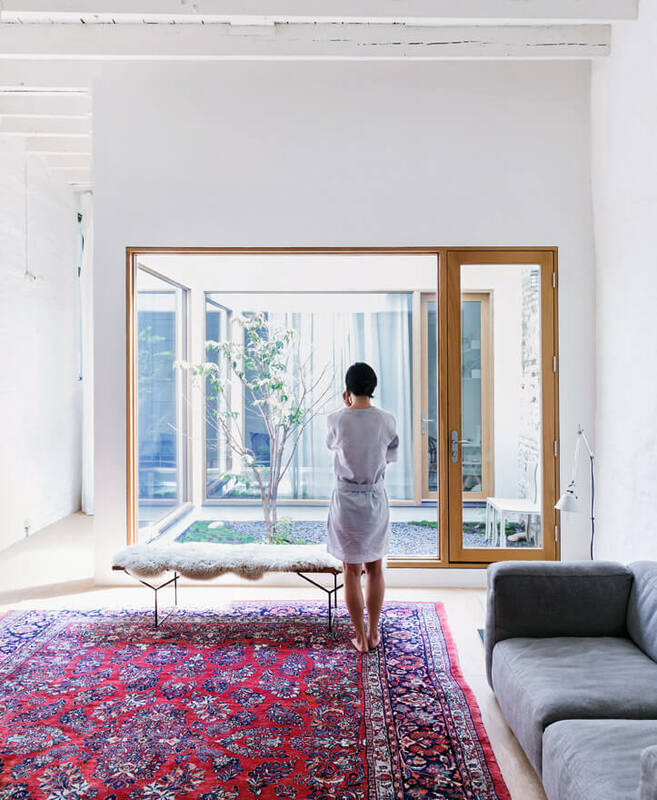 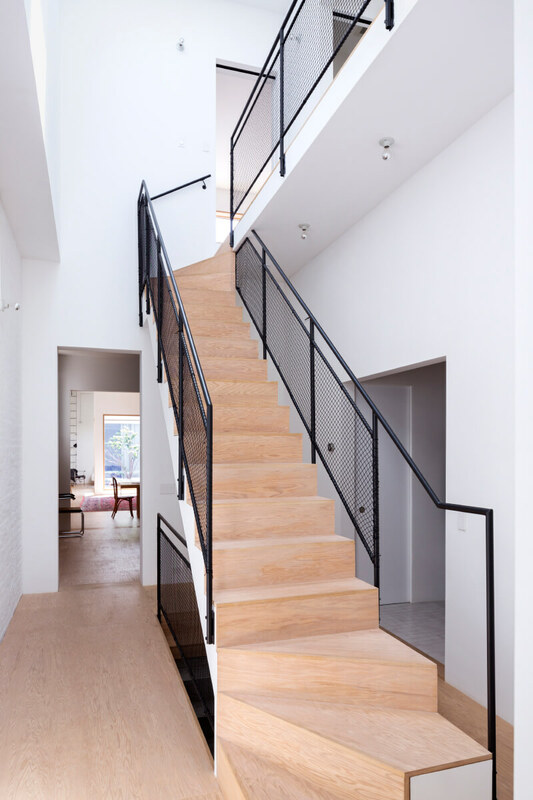 What proceeded was the insertion of a new mass – a volume with a core of functions (bathrooms, laundry) and a second floor providing two additional bedrooms and access to a roof terrace. 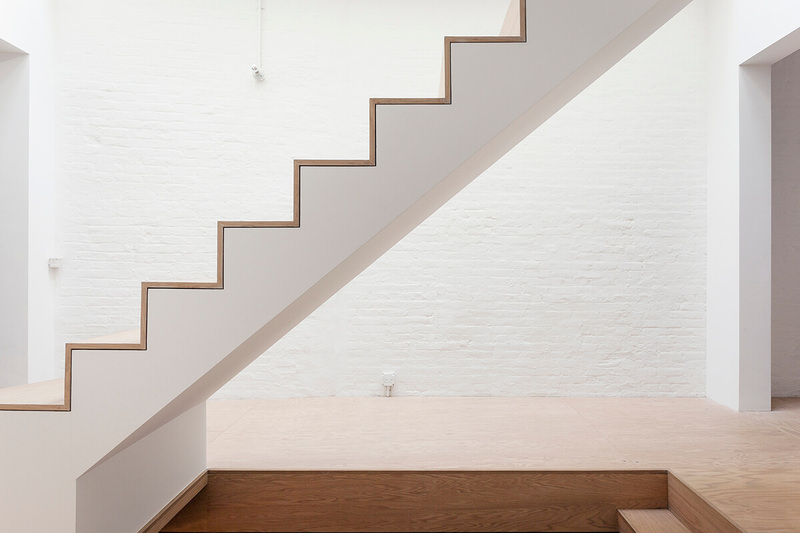 This insertion has in itself a sequence of deletions – skylights that draws light into the stair hall. 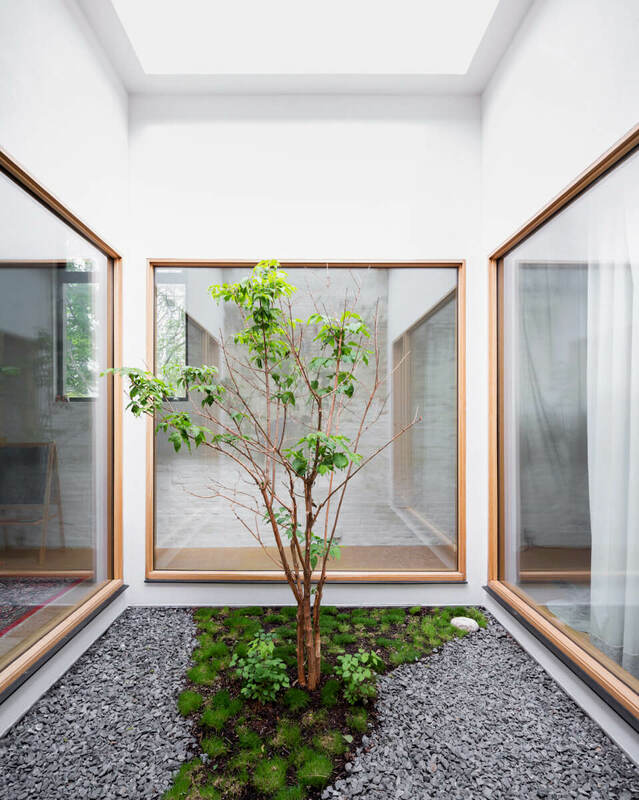 The resulting courtyard house as a whole creates a clarity of volumes and program.